[YOUR CITY]–The [ORGANIZATION NAME] has made a Spiral Wishing Well available to loan to local charities, schools, churches and other groups for fund raising events. Spiral Wishing Wells have raised millions of dollars over the years for many organizations around the world, and some of the largest amounts have been raised at one-day or weekend events. The current one-day record is $40,979 at a church in California. Common results are several hundred, or a thousand or more dollars in a day with the Wishing Wells with contests and interactive games with the coins. 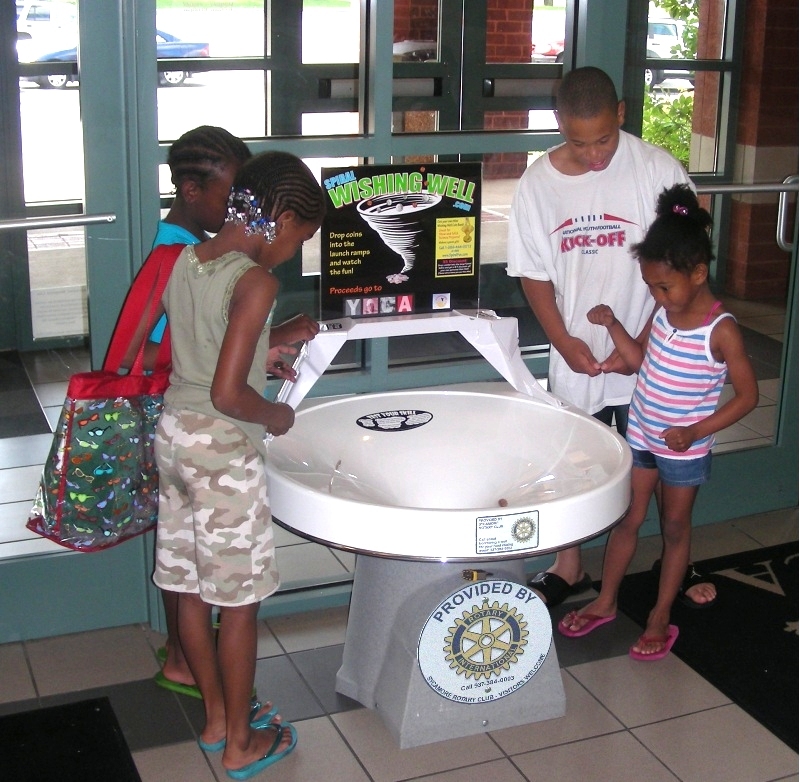 In addition to the coin revenue, event organizers can raise additional amounts by providing the small mini-well toy banks to the attendees. The Vortx® toys are great for show-and-tell, birthdays, and Christmas gifts for children.